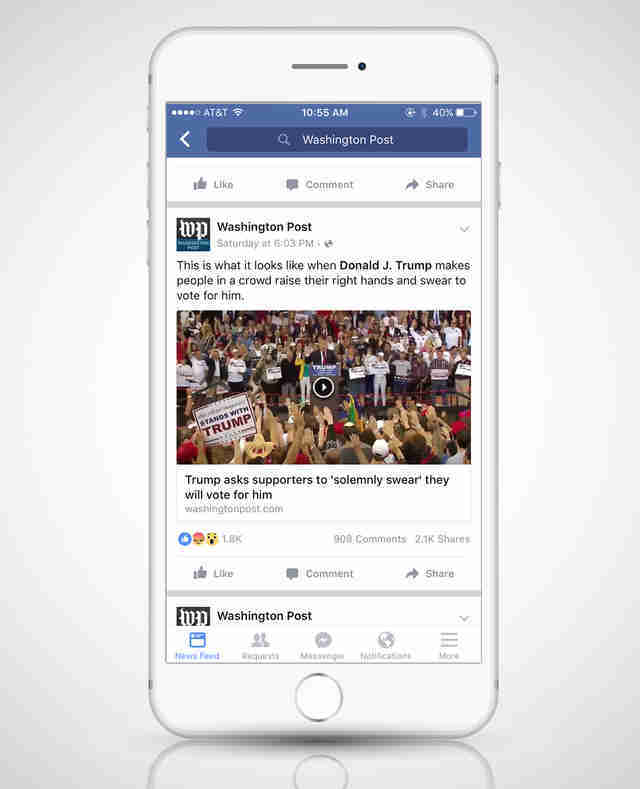 Have Facebook Reactions Already Failed? Whether you’ve been Wow-ing posts like a maniac or actively avoiding hitting anything but the Like button, feedback about Facebook's new Reactions has been all over the place, from confusion and outright dislike, to a whole lot of meh. And while we didn’t expect answers to all our awkward questions in the two shorts weeks they’ve been around, one cannot help but wonder: is it too soon to call them a failure? Answering this question requires a hard look at how people are using Reactions -- if they’re using them at all. Personally, the overwhelming majority of my friends and coworkers have avoided the disembodied emoji heads since they rolled out, but what about everyone else? According to a just-released study, people generally do like Reactions, but are having a hard time finding them. It’s going to be a bit tricky for Facebook to convince people to alter seven years' worth of user behavior if they can’t even find the shiny new features. People still prefer to Like things, even when they're far from "likable." But even if you know what you’re doing, selecting a Reaction feels like an added step, and it’s my guess that users are just too damn lazy for that. As well intentioned as Zuck may be in attempting to propagate empathy across social media, the fact is, when you’re scrolling quickly through your newsfeed, a passive tap of the Like button just feels... easy. It’s only fair to give users time to adjust to new features. Still, it's pretty clear that people aren’t taking advantage of Reactions, even under circumstances that practically beg for them. Pay attention to the Like vs. Reactions count on your newsfeed and you’ll notice that people still prefer to Like things, even when they’re far from “likable.” For example, take a look at three big news stories from this past weekend, all of which were ripe for a strong reaction. In every case, the number of basic Likes on the story far outweighed the number of Reactions. 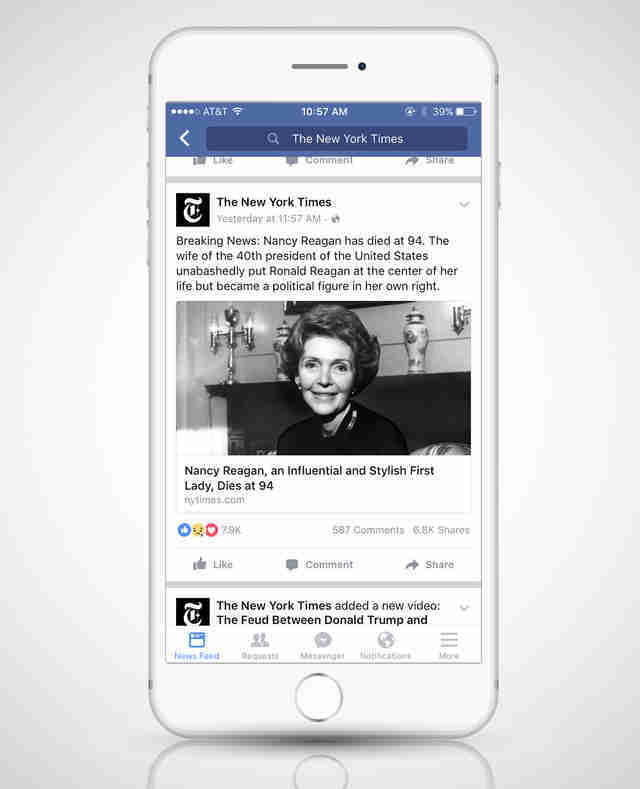 The New York Times’ obituary for Nancy Reagan had 6,200 likes, compared to 1,500 Sad Reactions. A Washington Post piece about Trump supporters’ eery extended-arm salute had 1,000 Likes and only 319 Angry Reactions. 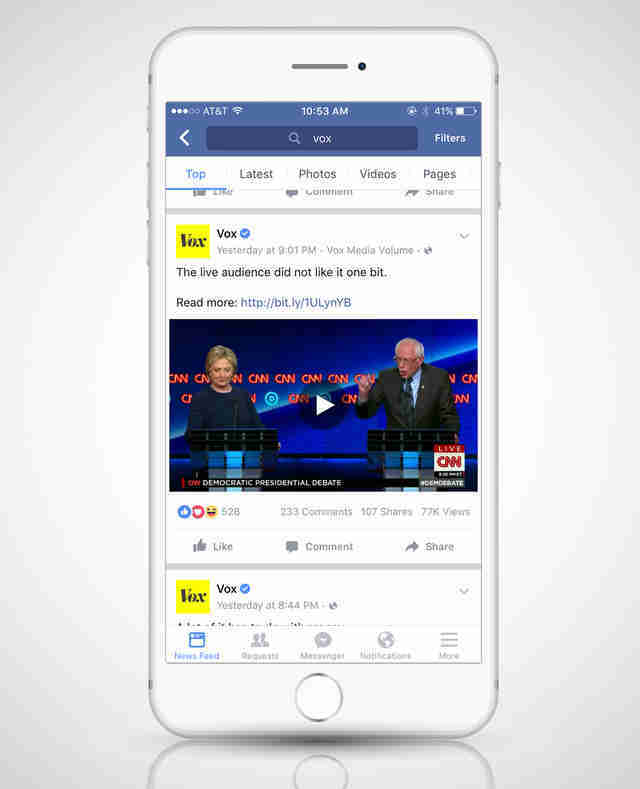 And a hot take from Vox about a particularly buzzworthy Bernie vs. Hillary moment from Sunday night’s Democratic debate garnered 424 Likes, followed by a near-equal split of 39 Loves and 35 Hahas. "That extra step undermines the reason that a Like was so powerful to begin with." Interestingly, each of these posts collected significantly more comments than they did total Reactions. And there may be something to that. 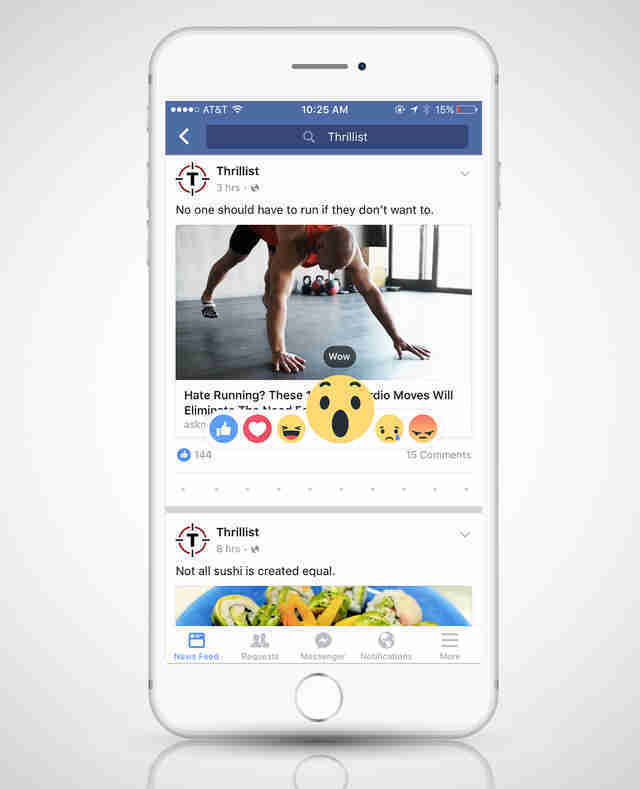 "You are either involved enough [with a post] to leave a comment, or you just kind of acknowledge that post with a Like -- which can represent any number of emotions,” Thrillist’s VP of Product Annie Trombatore told me. Selecting a Reaction requires less effort than a making a comment, but more effort than just hitting the Like button; it’s a half-baked level of commitment that’s more confusing than rewarding. “That extra step undermines the reason that a Like was so powerful to begin with," Trombatore said. "It was easy, passive, and you didn’t have to figure out the socially fitting response." So if Facebook can’t compel us to quickly react to posts that warrant a strong emotional response (like, the death of a former first lady, or citizens at a rally evoking Naziism), when will people use Reactions? Users have to commit to a specific emotion every time they engage, or risk a social faux pas. What about a post about an unexpected death, or the birth of a child? It would look downright rude to go straight for the Like, instead of choosing a Sad or Love. Users have to commit to a specific emotion every time they engage, or risk a social faux pas. And that may have unintended consequences -- specifically, reducing engagement altogether, which certainly isn’t good for Facebook. Zuckerberg’s right that not every moment you want to share is happy, but you also can’t funnel complicated feelings into one of five Reactions. If you want to entice people to have more meaningful engagements with each other online, it’s counterproductive to force them to shoehorn their emotions into neat little boxes. 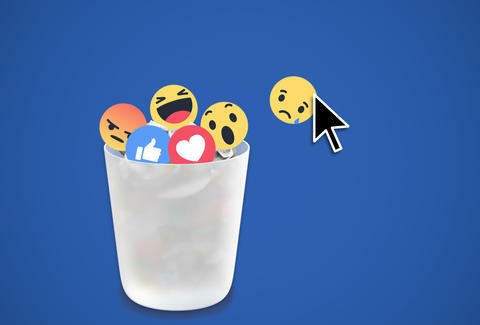 It's still way too early to consider Facebook Reactions a failure, according to David Ryan Polgar, co-founder of the Digital Citizenship Summit. "[The introduction of Reactions] is similar in nature to a few years back when Facebook altered the prominence of how many friends a user had -- this altered user behavior to focus less on building up the number of ‘friends’ to focusing more on quality Interaction." And if you’re not satisfied with the current five, there's always the option to swap them out for Pokemon characters. Joe McGauley is a senior writer at Thrillist, and if anyone at Facebook is listening, he still somehow doesn't have access to Facebook Reactions. Help a brother out?